If have an iPad and a small child or even a big one, then you know the likelihood of your iPad being dropped at least once is a possibility. Recently my cousin's iPad was dropped and the screen cracked and pieces broke out of it. I don't know if her toddler dropped it or her husband but there is one product now available that could have prevented this from happening. Check out Animatone Tumble iPad Case. 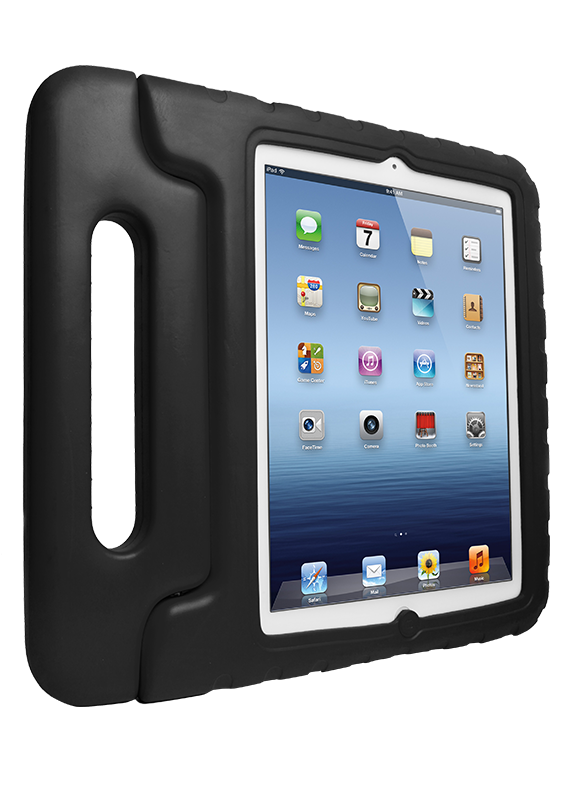 This case is designed to withstand the regular tumbles that can happen even with any kid handling your iPad. The case is for an iPad 3 & 4 and is made of a light, soft foam. The handle is large, but not too large so little hands can carry it easily. The handle is also adjustable for various angles to watch or play on your iPad. I highly recommend getting the Tumble iPad case to keep your iPad safe! Have your dropped your iPad? What are you doing to prevent your iPad from breaking?